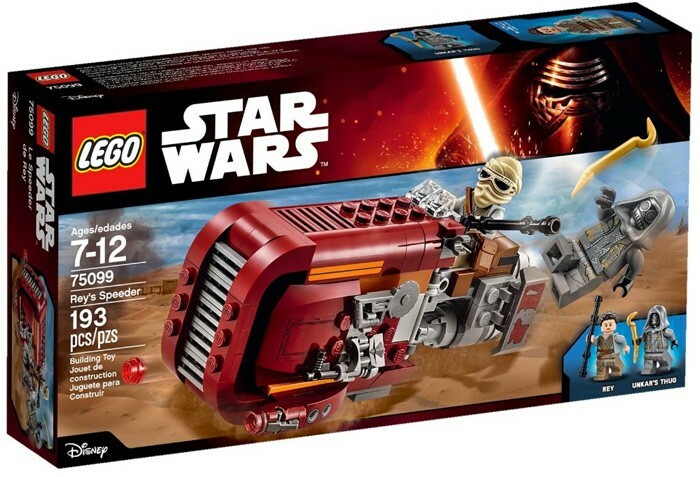 Speed into action on Rey's Speeder! 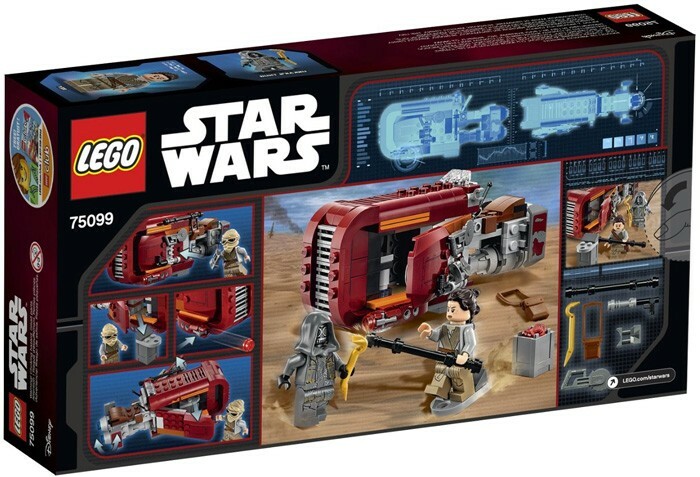 This cool landspeeder has everything Rey needs for scouting the surface of a desert planet, including dual stud shooters, opening storage hatch and side-mounted bag, blaster, buzzsaw and electrobinoculars. 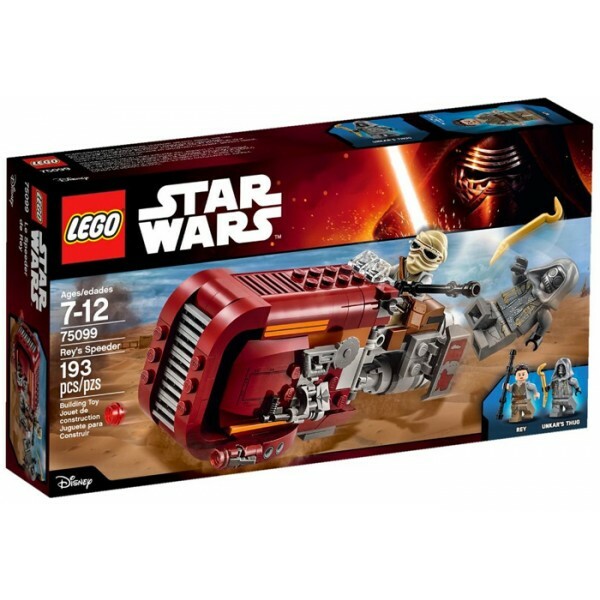 There's also a detachable sled with space for a minifigure when Rey must make a quick escape down the desert dunes! Recreate your own fantastic scenes from Star Wars: The Force Awakens. 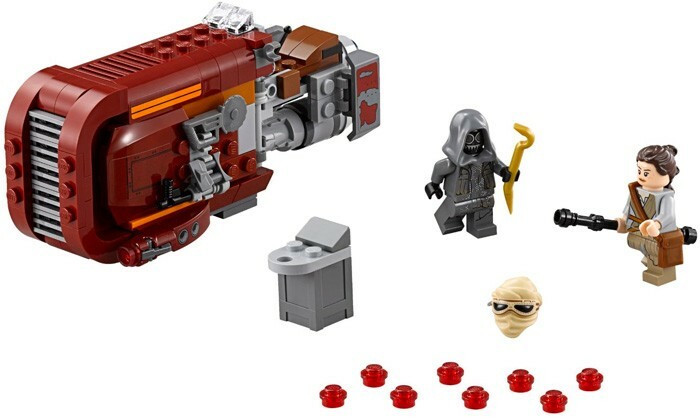 The set includes 2 minifigures: Rey and Unkar's Thug with a crowbar. For more products featuring characters from a galaxy far, far away, visit our Star Wars Characters Collection or our Princess Leia Collection.